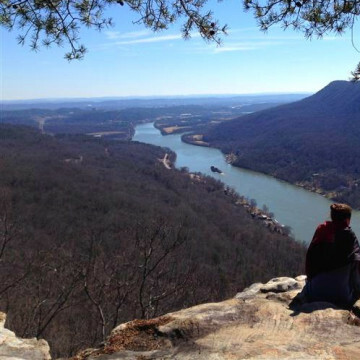 This section of the Cumberland Trail is the southern portion of the Three Gorges Segment, a 30+ mile stretch with spectacular views, boulders and rock formations, and historic remnants of Tennessee coal-mining operations. 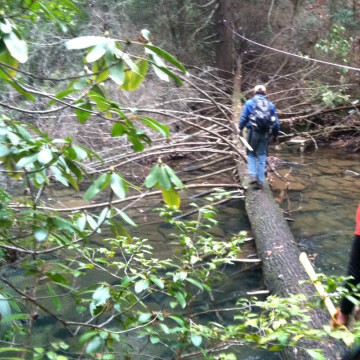 Creek crossings, rugged ascents, including ladders and steep slopes make this section of the Cumberland Trail challenging and enticing. 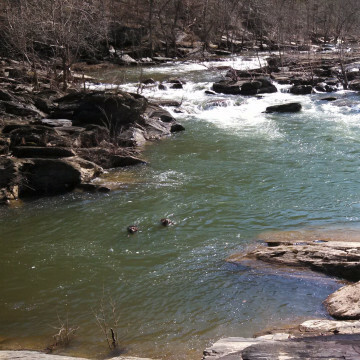 The waterfalls, rapids, pools, views, and interesting rock formations make it worthwhile. This trail features abandoned mines, views of deep valleys, gorges, and high bluffs, and includes rock and wooden steps. 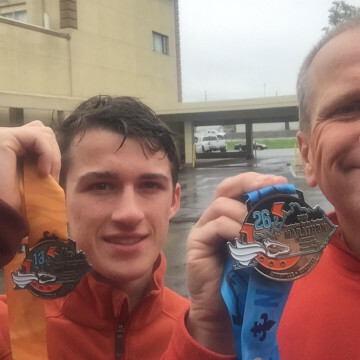 Meet Jean Paul and Devin Vaudreuil, a father and son duo participating in this year's 7 Bridges Marathon on October 18th in Chattanooga. 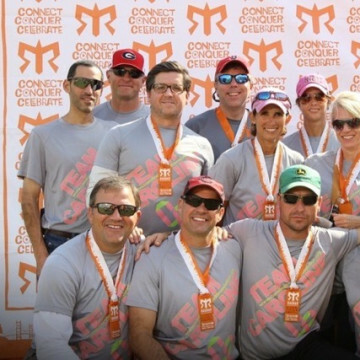 If you’ve never traveled from Chattanooga to Nashville in a van filled with smelly friends and their smelly shoes, you might consider putting a team together and partaking in the Ragnar Relay. 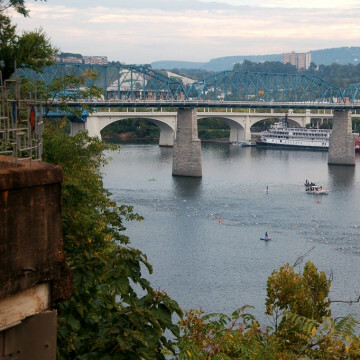 Preparing for the Ironman 70.3 Chattanooga? Coach Lee Simril offers some suggestions to get you to the finish line. 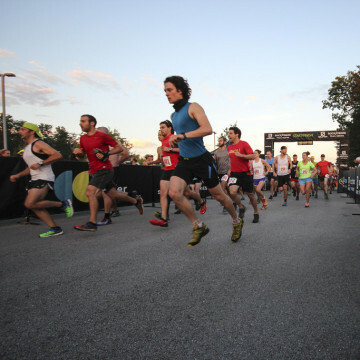 To kick off this year's month long RiverRocks festival in Chattanooga, the Rock/Creek StumpJump 50k & 11-miler, now in its thirteenth year, will see about 500 amateur and professional athletes take to the trails to test their mettle. 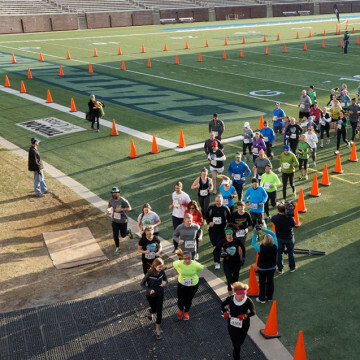 The Chattanooga racing season begins with the Scenic City Half Marathon and 5K on February 28th, at Finley Stadium. 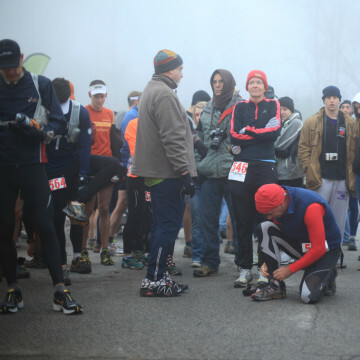 It can be difficult to dress for running this time of the year in Chattanooga. 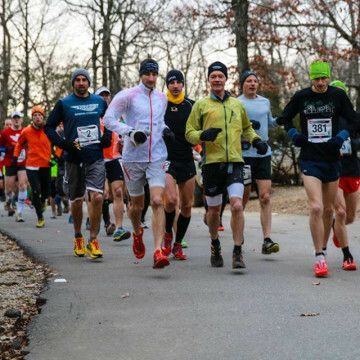 Here are some tips to stay warm and comfortable on the run. 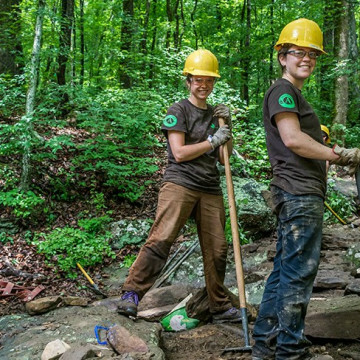 The Southeast Conservation Corps offers young people outdoors training and experience while improving wilderness access around Chattanooga. The Cumberland Trail is Tennessee's first linear state park and once it is fully complete, it will be the longest state park in the country. 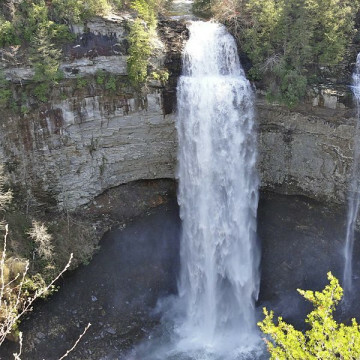 Winter is surprisingly one of the best times of year to visit these Tennessee state parks, all within a two-hour drive of Chattanooga. 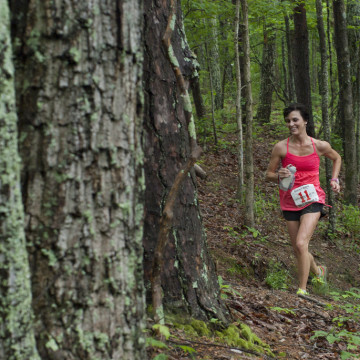 The Mountain Mist 50K is arguably Alabama's toughest trail run. Here are some expert tips on how to experience the race, whether it's your first—or twenty-first—time. The Scenic City serves up a long list of worthwhile racing events during the winter and spring. Here are 9 of our favorites for a variety of athletes. 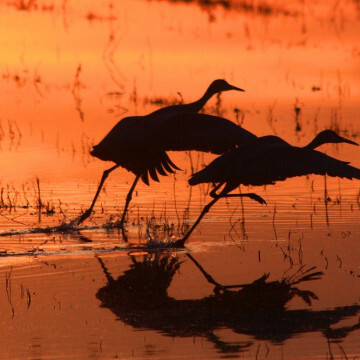 Whether you're an avid birder or you've never seen a sandhill crane before, the Tennessee Sandhill Crane Festival is one of the most impressive birding events in the world. 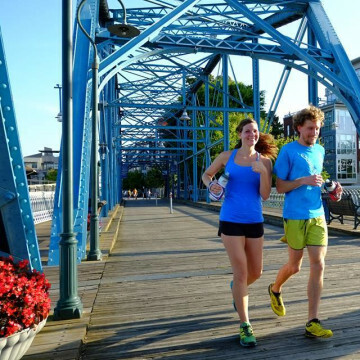 With 2015 on the very near horizon, here are a few ways to celebrate the New Year in Chattanooga, from New Year's Eve runs to New Year's Day hikes. 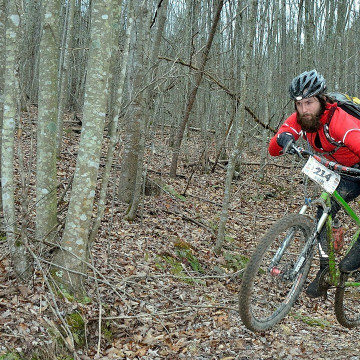 The Snake Creek Gap series is a classic mountain bike race which takes place on the beautiful Pinhoti Trail during the first weekend of January, February, and March. 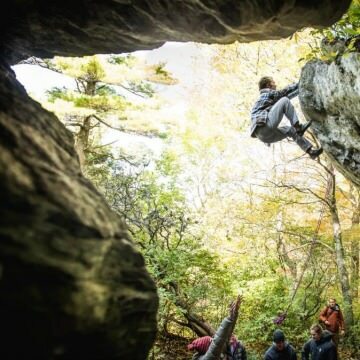 Outdoor lovers in Chattanooga, rejoice! We've got the perfect gift guide for you and yours this holiday season. 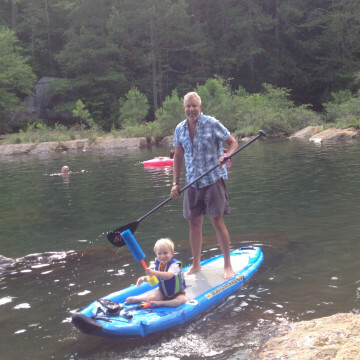 Many Chattanoogans are familiar with the Hiwassee River for being a great paddling destination. But it's also home to an excellent trail system. We’ve put together a handy list of tips and tricks to get you motivated for a cold-weather run, from helping you get out the door to staying warm, even when the mercury dips. 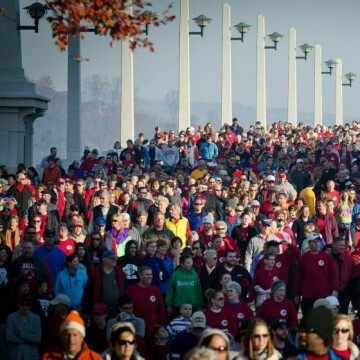 Sure, you could do the normal holiday routine of watching football and eating, but the Chattanooga area offers several ways to help out the community, which you should more than consider. 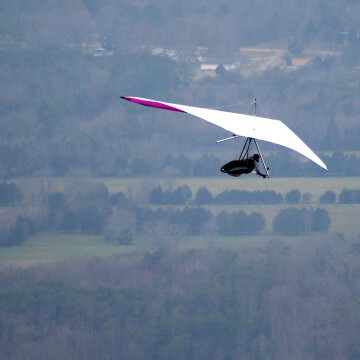 Buoyed by the cool, crisp air, the cornflower blue skies, and the daily change to the palette on the trees, hang gliding should be the number activity on your radar this fall. 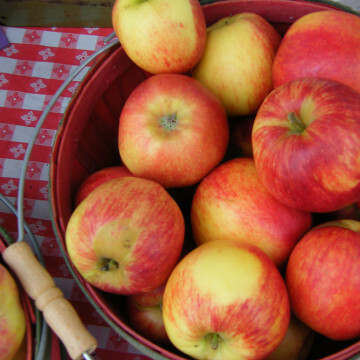 If you haven’t been to the Wednesday Main Street Farmer’s Market yet this year, you won’t want to miss Harvest Fest this week. 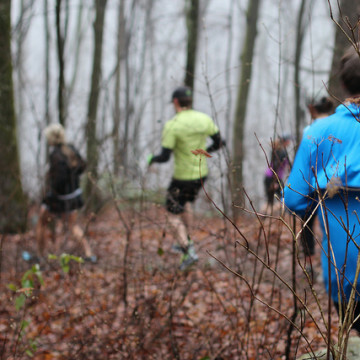 If you haven’t signed up for the Salomon CITYTRAIL Race yet, ask yourself why not. Salomon’s concept is that you don’t have to live near a trailhead to get off the roads.